The very talented Rapha Lobosco who is the artist behind the current James Bond comic series by Dynamite Entertainment titled BLACK BOX has kindly donated one of his cover drawings to this blog. Rapha Lobosco is collaborating with writer Benjamin Percy in creating the new story called BLACK BOX and issue one has already been released and issue two will be out later this month (read April 2017). I have been in contact with Rapha Lobosco begging him to follow in the footsteps of other artists who has drawn a header for my blog. 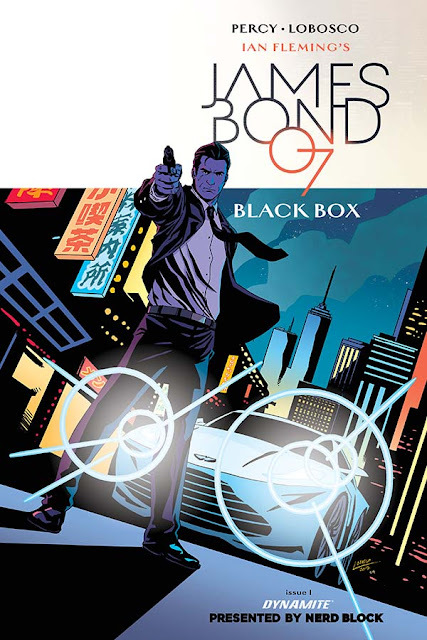 Rapha is off course very busy working on Black Box but did not want to disappoint the fans so he sent the cover he did for the first issue of their Bond story. I then had to modify the drawing a bit to fit the header space for the blog to make it look more appropriate. As you can see I have moved Bond somewhat in the drawing. 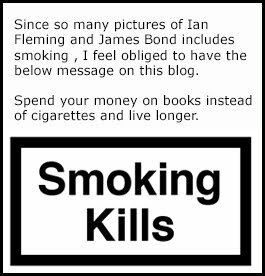 It is really nice that many of the famous James Bond artists have participated in my wish to make them come up with their own ideas for a blog header. Let's wait and see who will be the next artist to put their golden touch on this blog. Below is the blog header and the cover for the first Black Box issue it originated from.